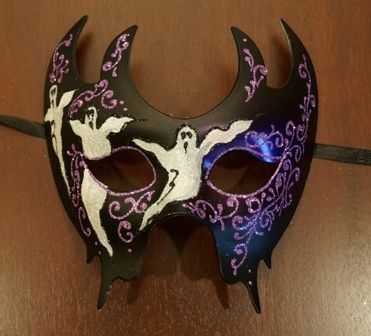 Beautifully done, this masquerade halloween mask has a handpainted ghost design. The mask itself is cutout in a spooky design as well. Made out of a durable plastic core.